If Inside Llewyn Davis has prompted a popular consensus that maybe there is something to the theory that many of the Coen Brother's films have something autobiographical in nature, then it would appear pretty clear which area of their id Raising Arizona is addressing. Featuring a couple (Nicolas Cage and Holly Hunter) who, on the face of things, desperately want a baby, it soon becomes clear that one of the partnership - Cage's nest-haired H.I. McDunnough - perhaps isn't that keen. On leaving to kidnap the baby of tycoon Nathan Arizona (Trey Wilson), H.I. initially returns empty handed, only to receive an ultimatum from Ed (Hunter). 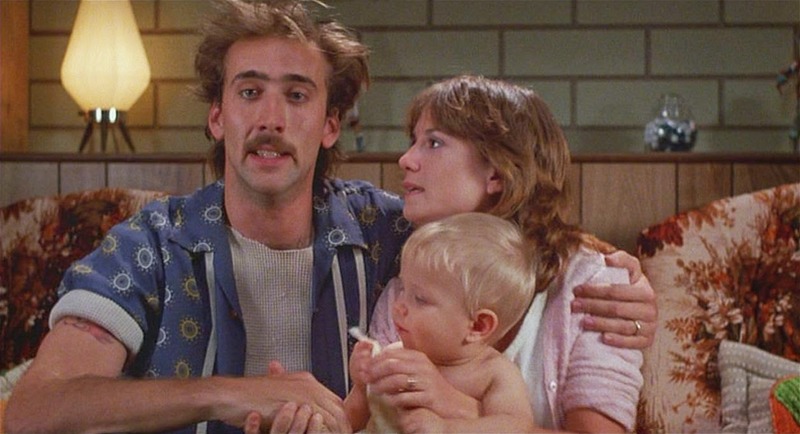 Could then perhaps Raising Arizona be about the brother's collective and singular fears surrounding fatherhood, with H.I. and thus Cage the stand in medium? That theory, though hardly as sound as the one governing the depiction of losing a creative partner in Inside Llewyn Davis, gains weight when you consider Leonard Smalls, the dishevelled hellish biker played by Randall 'Tex' Cobb, famously described by the Coens as 'less actor: more a force of nature'. In dreaming up Leonard - who the film then clearly seems to accept into its own reality, in a muddy depiction very unbecoming of later, more polished Coen works - H.I. seems to have found an outlet for his 'parental' guilt. 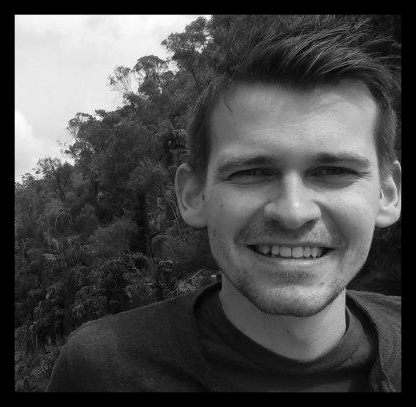 On a path of destruction, Leonard comes to represent an indirect threat to Nathan Jr., the baby the couple have kidnapped, thus further outlining a fear of parenthood, if you wish to interpret it in that way. Away from the autobiography - or otherwise - Raising Arizona features a smattering of elements that would come to define the Coens, without ever threatening to be the defining Coen Brothers film. The calamitous slapstick car chase that ensues when H.I. returns to his roots and robs a convenience store for 'diapers' is classic, sly Coen humour; dry, tongue-in-cheek and with a fair helping of violence. The quick-fire line delivery of the opening setup, where H.I. courts Ed during various arrests ('you bet I do') is another gloriously Coen-esque moment of scripting and direction. There is though, a lack of polish and occasionally a lack of control. The introduction and control of Smalls is uncertain and the Smalls finale doesn't fit in with anything else in the film, severely lacking the laughs of the store robbery, which is the film's only other real set piece. The end as a whole in fact, when compared with many other Coen films, is wistfully optimistic and perhaps even a little twee. That element though does fit in with the rest of the film, which goes some way to show why this isn't quite classic Coen: it has the moments, but the edge of later, more successful films just hasn't developed yet. Raising Arizona was available on Netflix.